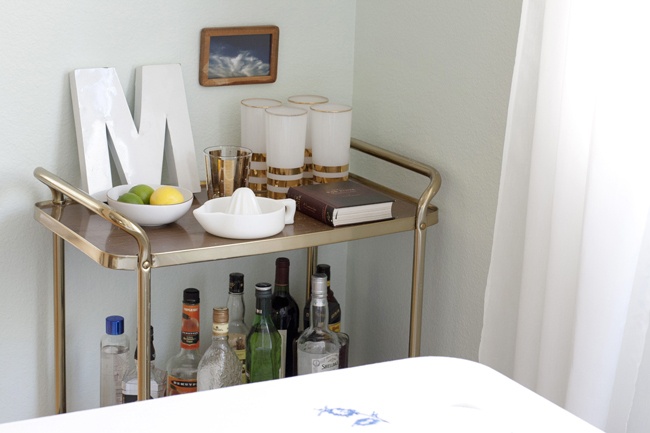 insideways: Pretty Small Things: a bar cart! Summer is here - the perfect time for sipping cool cocktails while enjoying an evening breeze. I've recently declared myself our family's mixologist and am slowly mastering a few delicious drinks (hello Moscow Mule!). 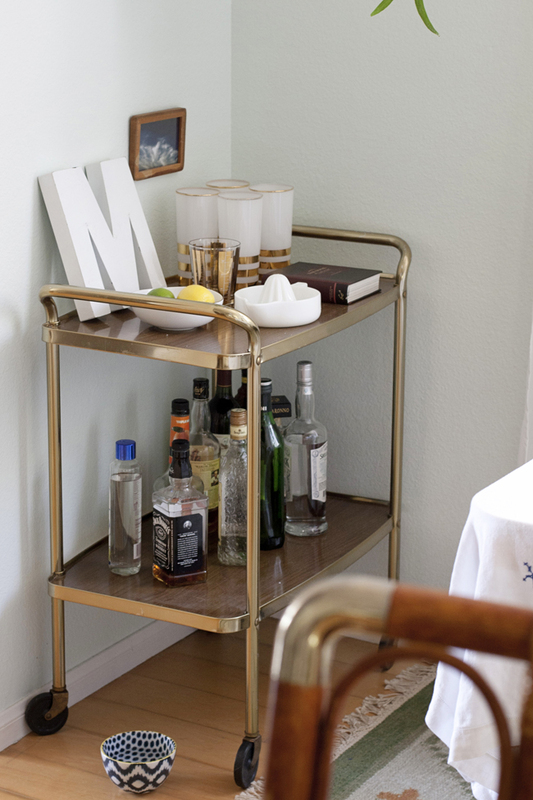 The whole process has been all the more enjoyable because I found the perfect little bar cart for our dining nook. Brass with walnut veneer? Yes please. Tim and I took our time looking for a cart that a) fit the specific dimensions of our dining nook b) looked awesome and c) was affordable. 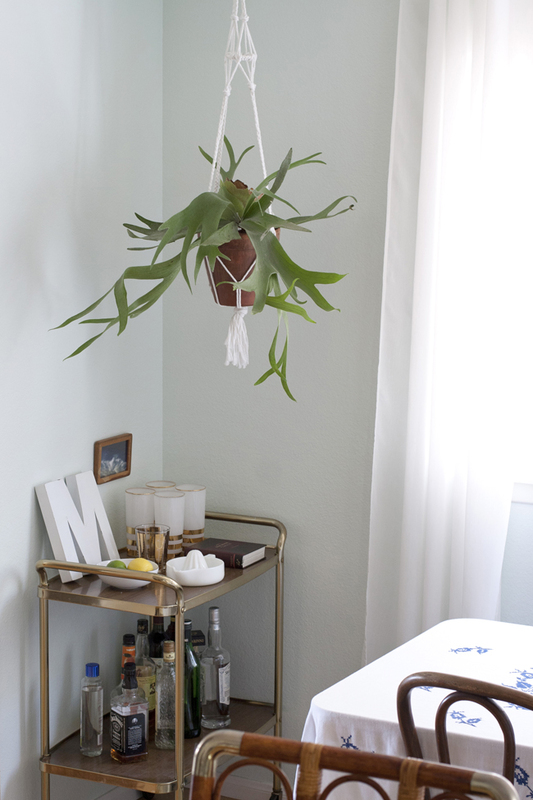 We stubbornly held out for one that fit all three requirements and I'm really glad we did. 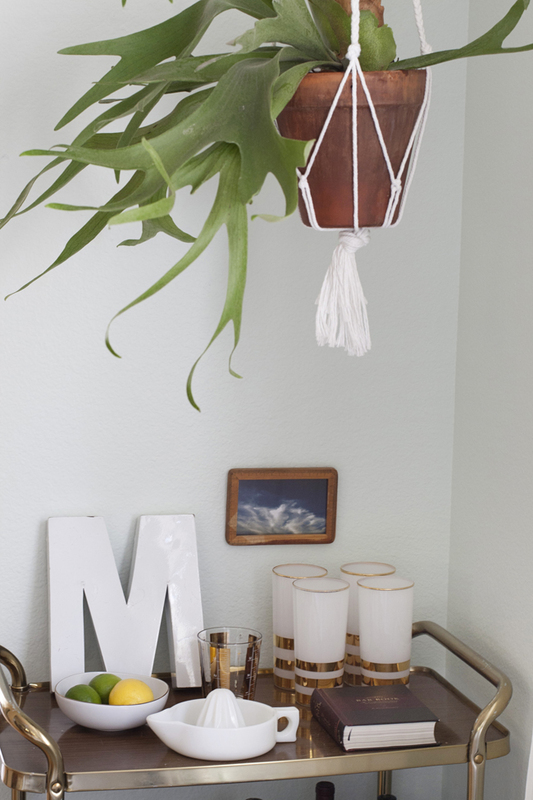 To see the difference it makes, check out my last dining room update post >>> here.